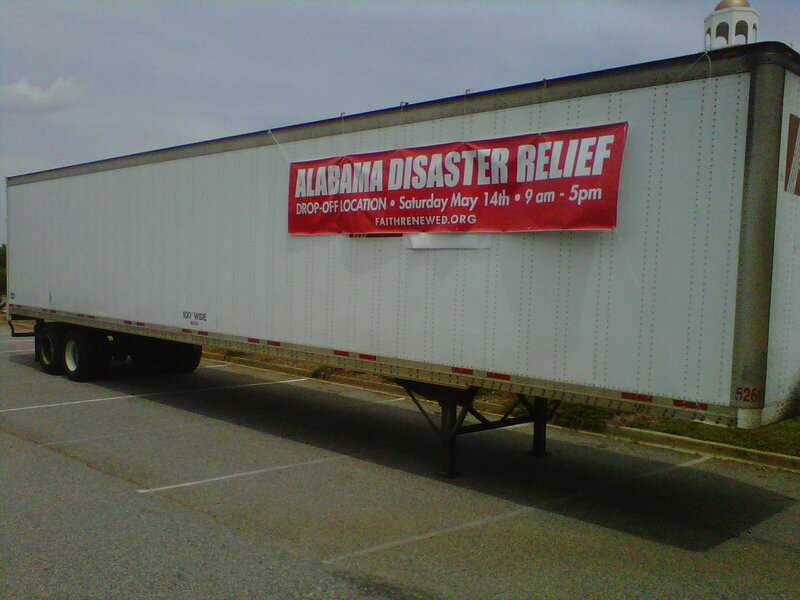 We are going to be filling up the “Trailer of Hope” for some of the tornado victims in Alabama this weekend at Faith Renewed. You learn more about what we’re doing here and see a list of what is needed. When devastation is great, it’s real easy to sit back and do nothing because we can’t help everyone. I love something that Andy Stanley said, “do for one, what you wish you could do for everyone.” You may not be able to help an entire community or city. Can you help one family or one person? Lets’ make a difference together.